National Highways Authority of India (NHAI) has issued a job recruitment notification for the recruitment of Chief General Manager through their recruitment notification. This is NHAI Recruitment 2017 for Chief General Manager job vacancy then don't wait to apply soon. Who Can Apply? Candidates who have completed B.Tech can apply for the new recruitment notification from National Highways Authority of India (NHAI). They are planning to recruit 01 candidate for the job vacancy of Chief General Manager. The interested and eligible candidates can apply before 31/07/2017. National Highways Authority of India allows to receive the application from applicants by offline mode. Eligibility: Eligible candidates can apply offline for the Job Chief General Manager on or before 31/07/2017. Find the below for more information about the vacancy like Age limit, Selection Process, Qualification, Application fee, How to apply etc and other details. Before submitting your application by offline, you should read completely all the below details carefully and apply. Address to apply this vacancy: NHAI Recruitment 2017, Across India. National Highways Authority of India (NHAI) invites you to all send the job applicants who are interested and experienced eligible candidates on short-term contract period will extend after an improvement in performance for the post-Chief General Manager. (a) The interested candidates can apply on or before 31/07/2017. (b) There is no other detailed information about the selection process is mentioned in the recruitment notification. (i) The applicant should have one year experience preferably in road and highway works. (ii) The applicant shall have working knowledge of computer with proficiency in ms Word application, in ms Excel or in ms power point. 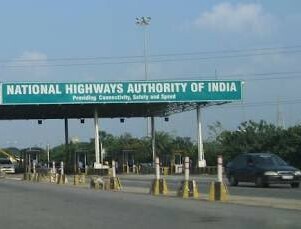 (iii) The notice is also available on NHAI website: http:www.nhai.org. The advertisement can be withdrawn at any time at the discretion of the competent authority to job advertisement. They shall be published officially only on the online website of NHAI. Therefore, the candidates are advised to check the website of NHAI regularly. (iv) They may receive an large numbers of job applications forms, candidates will be notify if they short listed check on the basis of their qualifications, required experience, skills and services related to work will see and accordingly will be call for an interview & consider for the selection. (v) Applications are to be submitted strictly in the given prescribed format should attach experience and educational documents or certificates. The important date for process of eligibility shall be the last date prescribed for the receipt of applications. There will be chances of rejection if found any incomplete applications submitted by applicants. (vi) All you have to fill job applications very accurately information along with supporting documents in each page shall be signed by applicant have to sent to registered speed post directly to the address which is given. (vii) NHAI National highways authority of India wants best candidates for their latest recruitment job post for Chief General Manager. Be prepare strongly and apply to this job vacancy. The last date for NHAI recruitment 2017 job vacancy for Chief General Manager post to apply for this job on 31/07/2017. You can subscribe below for free job alert to know more latest daily best jobs.